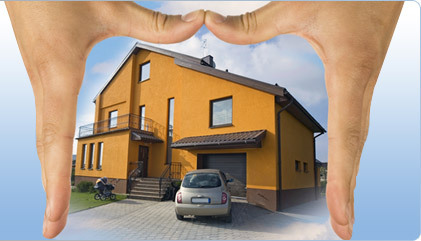 Michigan Landlord Insurance Quotes - Get Michigan Landlord Insurance Quotes in Minutes. Michigan landlord insurance quotes help give you an idea of type of coverage you could have for what kind of rates. Even if you are fairly happy with your current coverage, you should have an idea of what type of rates are available for you. On the other hand, if you are not happy with your current policy or carrier but feel the price is right, you should definitely consider reviewing Michigan landlord insurance quotes. Why Get Michigan Landlord Insurance Quotes? Michigan is a state at higher risk of winter weather related concerns than some other states. This can cause problems for a variety of reasons and is of great concern for a rental property that is vacant. Vacant homes mean no one is there to report a problem as soon as it happens. It also means, no one at hand to turn on faucets to prevent pipes freezing and bursting during winter months. Even heavy snowfall can cause problems. Weight on the roof or melting snow that causes water damage or leaks can be that much worse without someone there. A tenant could clear away snow and watch for leaks. Winters can take a toll on a rental property and become costly headaches for those who do not have the right type or amount of coverage. This is true whether your rental property is in Troy, Michigan, Flint, Ann Arbor, Detroit or any place else in the state of Michigan. As if the winters aren’t rough enough, the past spring was one of the wettest in over 60 years. Homeowners were finding their sump pumps either stopped working as a result of the overuse or could not work hard enough to keep up with the rising water levels in their basement. It does not matter if you are in a part of Michigan that is high risk of flooding, or not. Assuming your policy includes flood coverage can be a costly mistake. Also, it is crucial to find out if your current policy covers flood damage in the event of sump pump overflows and, also, backed up sewers. Even though it is not your fault if these problems occur, an insurance carrier may also feel it is not their financial responsibility to cover it. The problem is, many people find out their coverage does not include this, after the fact. Getting Michigan landlord insurance quotes gives you the power and ability to compare coverage, deductibles and premiums. This is an opportunity to review options and understand lower rates aren’t always worth it if it means losing coverage options you really do need. Many people sign up for a policy with the most basic required coverage. The problem is, this can lead to very expensive problems down the road. Some people get coverage with gaps or don’t fully comprehend what exactly is covered by their policy. The great thing about getting and comparing Michigan landlord insurance quotes is that you can finally spell out exactly what it is you want or need. While winter storms can be a huge problem for properties, there are plenty of other concerns to think about. Theft and vandalism can be a very costly problem, especially for vacant homes. The tragedy of this type of situation is that you are not only losing rental based income but then have repairs or items to replace to think about. With the wrong kind of Michigan insurance policy you could be paying for all of this out of your own pocket, while losing more money from keeping the investment rental property empty during the repair process. Obviously, people like to save money. Usually, the saying about you get what you pay for is true. So, sometimes if you want to make sure you won’t be paying for expensive problems on your own down the road, you will want to make sure you get all the coverage you need before worrying about saving a little bit of money. When getting Michigan landlord insurance quotes, consider pricing by trying different deductibles. Often, if the cost of premiums is not that much different, the lower the deductible, the better. It can be tempting to go for the highest deductible available, but is it a realistic amount to come up with should a disaster take place. Go with a deductible that is reasonable so that, in a time of need, you won’t be faced with more up front and out of pocket costs than you can handle. You have nothing to lose by finding out what your options are for premium costs and coverage by reviewing different quotes. In fact, the 2 minutes it takes to fill out the quote form puts you as possibly part of the 95% of people who do end up saving money because of it. Filling out the quote form puts you in touch with a network of over 200 insurance companies competing for your business. Getting Michigan landlord insurance quotes is a sensible way to find out how to improve your coverage and rates.